Tenkar's Tavern: DCCisions - Which Do I Swap in First? 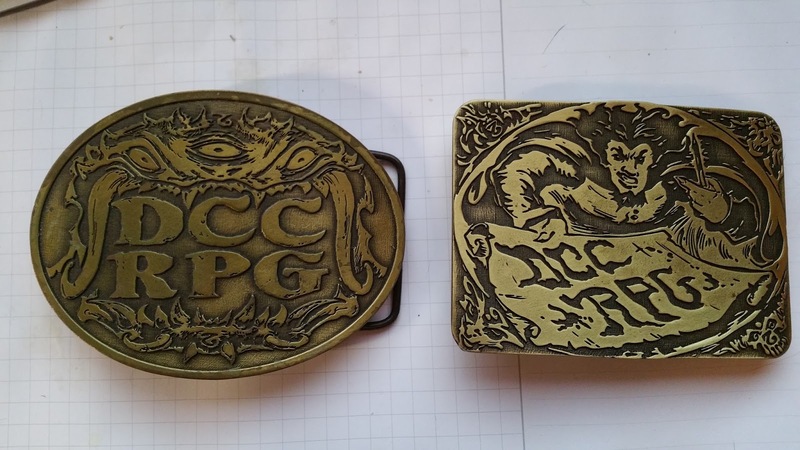 The postal service seems to have taken the long way around, but the DCC belt buckles +James Spahn was nice enough to sell me arrived today. I have a new belt all ready to go. So, which one gets the first go? You could just dip them in ink and stamp your body with temporary tattoos. Granted, they'd be backwards, but they'd look great from a rear view mirror. I love the one on the left. It was the first one I got! I love them all! More DCC belt buckles please!! !